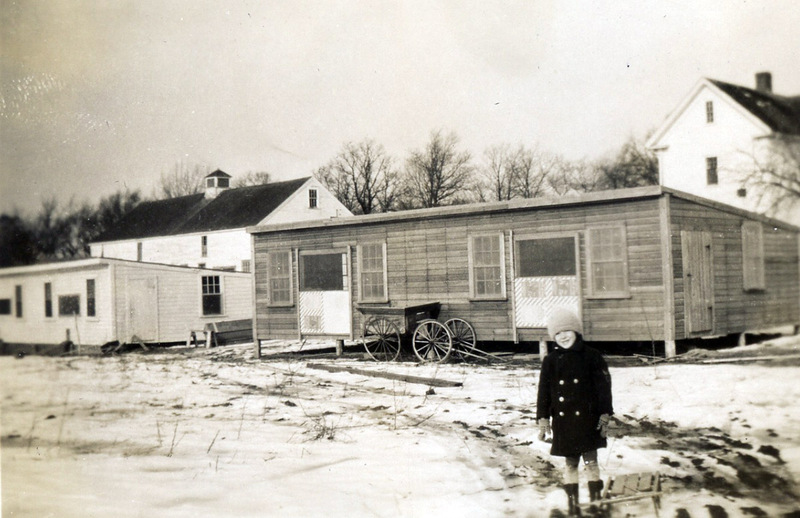 “In the older agricultural areas of southern New England, the English barn was frequently enlarged laterally with additions added to either side of the central drive. This produced a long, multiple-door barn type similar to earlier English examples. 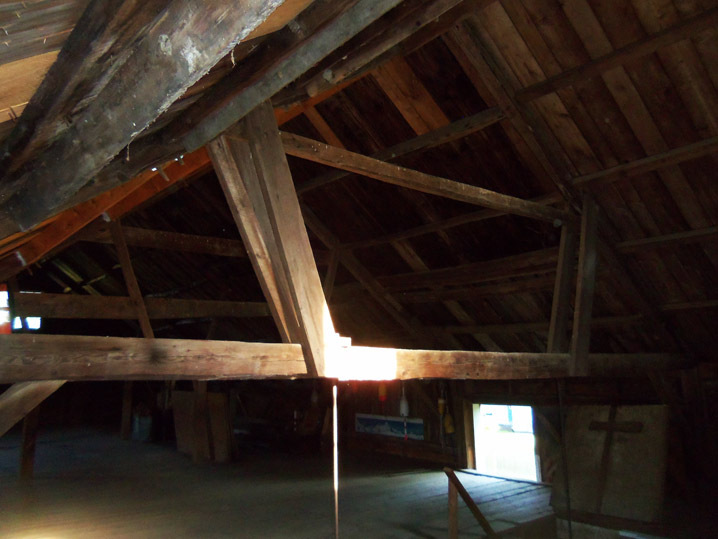 One of the distinguishing characteristics of the English barn is its elaborate framing system, particularly the complex corner joint, often called a flared or gunstock-post system. This method of joining structural members predates the fourteenth century in England, and it is a remarkable example of the persistence of a medieval construction system into the middle of the nineteenth century. 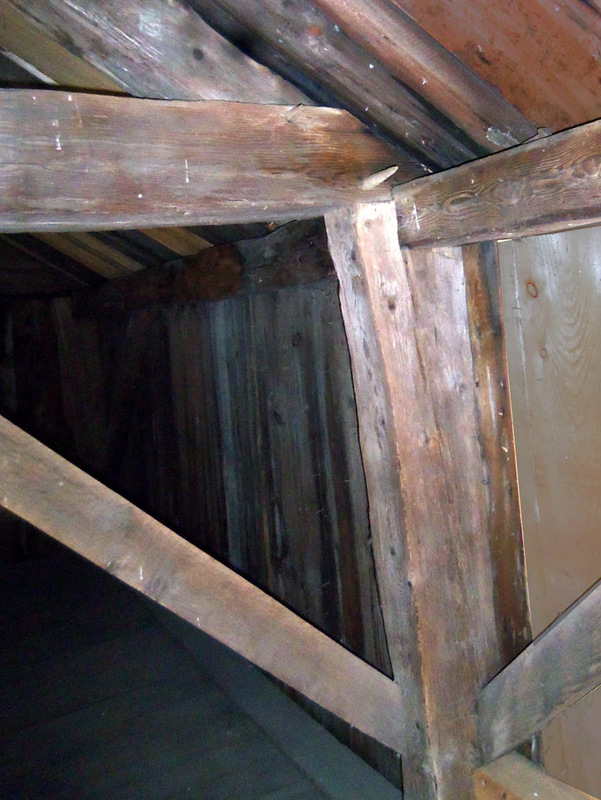 Although complicated from a modern perspective, this elaborate connection solved a difficult jointing problem involving the junction of four major structural members within a system of all-wood construction (without the use of metal connectors or nails for structural reinforcement). Gunstock wall post in the John Manning barn. 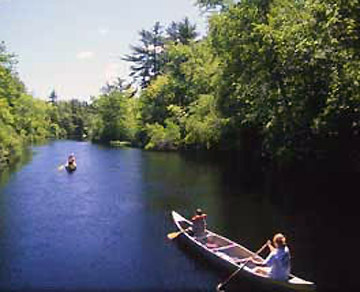 Charlotte Lindgren’s story about growing up on Lakemans Lane. I remember this property from childhood, riding my horse by the series of white barns down the street into John Bosco…so serene and peaceful. I was so lucky and blessed to grow up in Ipswich.